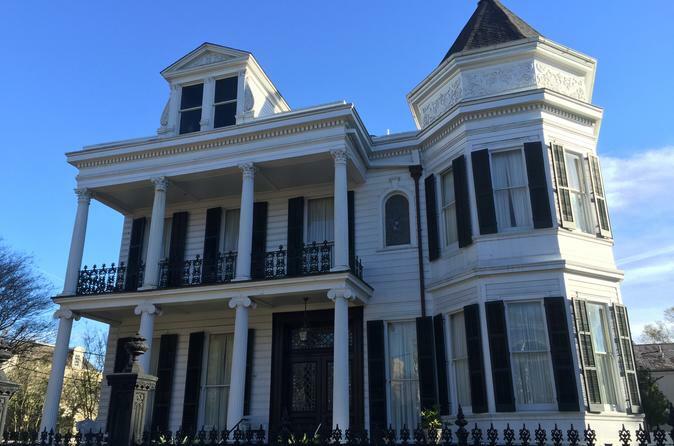 Discover the history of New Orleans through its architecture! On this 2-hour Garden District tour, you'll learn about Antebellum New Orleans while admiring the exquisite mansions. Enjoy a leisurely stroll with a passionate, professional guide to explore the many building styles prevalent in this neighborhood, ranging from Greek Revival, Italianate, and Victorian. Hear the stories of the 19th century architects and families who made their mark on this historic area, and see the homes of former and current celebrities. Also included in this tour is a short stop into Lafayette Cemetery where visitors learn about the fascinating local above-ground burial customs. Starting with a brief introduction to the history of New Orleans Cemeteries, visitors will be treated to a discussion of the various styles and types of tombs seen in this cemetery. Your group will be no more than 25 people. Choose between 3 different departures, please see availability. Departing from the meetup point, you'll be given a brief introduction to New Orleans history, and then led into Lafayette Cemetery, where you will learn about the incredible above ground tombs and the local burial customs. As you move into the neighborhood, your guide will provide a crash course on the architectural history of the area, featuring the various characteristics that tell the story of the cultures and time periods that shaped these homes. These characteristics will be further explained as you stroll through the neighborhood, where you'll be wowed by the magnificence and opulence of these structures.The tour lasts two hours and you'll cover about a mile.